‘Self-Made’ is often a term used for persons who have reached the pinnacle of their careers through determination and self-elevation, Kennedy ‘Prezedent’ Mensah is no different. 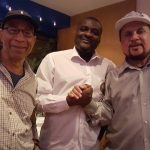 He brought himself up professionally to be recognised as one of the world’s foremost authorities on Reggae Music and the Music industry. His extensive music expertise has been utilised around the globe from Ghana, Nigeria, South Africa, Malawi, Gambia to America, Japan, Greece, France, Italy, Russia to the home of reggae music Jamaica and of course where he resides in Britain. Born and raised in South-West London to Ghanaian parents, Kennedy fell in love with reggae music at an early age. Kennedy’s love of Reggae was founded on his Father’s Bob Marley, Jimmy Cliff and Trojan compilations in Kumasi, Ghana. Upon his return to London in 1981, his passion blossomed when he discovered sound system tapes in school, began writing reggae lyrics with his School friends and even became part of a local sound system in Battersea. In his adolescent years, he spent every spare penny he could find on records which landed him the role of ‘DJ Next Door Neighbour’ to his friends and family. He recounts, “Whenever friends were having parties they would say – ‘call Kennedy – he’s got loads of Records’”. That record collection grew into a Library of thousands of Records, CD’s & Tapes which gave him his alias ‘Mr. Prezedent’, which was short for the prezedent of music. Whilst studying Journalism at Vauxhall College and then the Polytechnic of Central London (now the University of Westminster), Kennedy started freelance writing for EX Magazine, NME, Music Week and The Voice Newspaper. His segue into the music industry proper came in 1990 when he started writing the weekly Reggae column, ‘Ragazine’, for The Voice Newspaper. It was here that his Disc Jockey persona, Mr Prezedent, was introduced to the world in the guise of a journalist. During his time at the Voice he also freelanced for numerous Music press titles in Britain including; Pride Magazine, Music Week, NME, Melody Maker, Check Dis, Wassup, Untold Magazine, Jet Star Phonographics Newsletter, Music Business International & World Beat. Kennedy also acted as Arts Editor for the Voice Newspaper during his stint there. 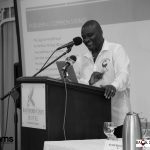 He later applied that experience when he became editor for a number of publications including Ticketmania Magazine, Reggae Sunsplash 21st Anniversary Programme, Nexxus Magazine (for the UK/Ghanaian Community), On Air (for LWR) and Peace & Love Concert Programme. 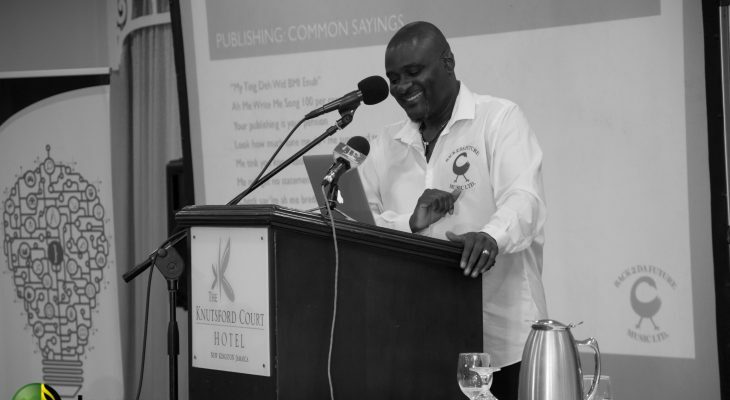 In October 1996, he was recruited by New Nation Newspaper to bring his Reggae Column’s cult-following to the new publication, his time there was short-lived however as the publication quickly got into financial difficulty. As his experience in journalism bloomed, so did his other professional faculties. In his twenties, he joined his cousin, Paul Akwaboah of the P ’n’ P Family, as resident DJ at the Moonlighting Nightclub in London’s West End, a residency he held down for over a decade. In that time, he grew from an occasional club DJ to playing in many of the biggest Clubs & Events in London and across Europe. 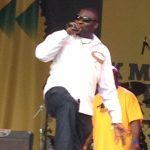 In 1999, Kennedy was approached by the world renowned Westbury Music Ltd a music publishing company based in Brixton to become their Reggae Specialist. By 2008 he was the manager of the Westbury Reggae Catalogues and head of Copyright at the company. 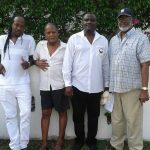 Their clientele included Reggae Legends the likes of John Holt, U Roy, Bunny Lee, Winston Riley and Max Romeo as well as current reggae/dancehall artistes like Wayne Wonder, Shaggy, T.O.K., Turbulence, Jah Cure & Kiprich. Whilst at Westbury he signed the likes of Mad Cobra, Jah Mason, Harry Toddler, Tarrus Riley and Delly Ranx. Kennedy left Westbury Music in August 2008 and started the ‘Back 2 Da Future Music’ publishing consultancy which was incorporated as a limited liability company in 2010. To date the company has amassed some 200 clients and represents some 40,000 copyrights. The present clientele includes Delly Ranx, Ansel Collins, Govana, Romain Virgo, Frisco Kid, Macka Diamond, Robert Livingston, Dean Fraser, Lloyd Brown, Blak Twang, Kalado, Reggie Stepper, Babyboom, Rodney P, Ty, Nereus Joseph, and Commissioner Gordon. Kennedy has also contributed to radio and TV stations in London, Gambia, Ghana and Jamaica as a pundit, presenter and DJ. He was an associate producer of “Access” a magazine programme on OBE TV (a Ghanaian television station based in the UK) and he also worked in a research capacity for various organisations including the Natty B Reggae Show on Choice FM, Riddim & Blues Show on BBC London with Ranking Miss P and Chris Goldfinger’s Dancehall Show on BBC Radio 1. 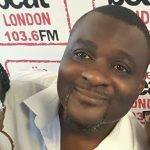 His Radio Presenter credentials include working alongside Dotun Adebayo on BBC London’s Reggae Time and BBC Radio 5 Live, Colourful Radio’s Movers & Shakers Show with Elayne Smith, Spectrum Radio, Buzz FM, LWR, Vibe FM (Ghana) Playvybz Radio, Colourful Radio, Voice of Africa Radio & 1095JAMZ. These days along with managing Back 2 Da Future Music Ltd, Kennedy the music industry supremo, lends his extensive expertise and industry knowledge to organisations by way of Workshops & classes on the Music Industry. He is still a well sought name for contributions on Award Committees which he has done for The Black Music Awards, MOBO Awards, GUBA Awards, British Reggae Industry Awards & Jamaica Music Academy Awards over the years.